Taking into account the different generations and genders, do you think there is an ‘ideal’ range for corporate singing (particularly corporate church singing)? The flipside question: is there a ‘no-go’ range (up or down) that you should avoid? This is an age-old question, and a good one to be asking; it reveals a desire to develop an inclusive time of worship. There is a reason why the question is asked a lot, and why it is not easily answered: there’s no ideal range that will be the ‘one-size-fits-all’ solution. Why? Well, the different sexes of your congregation are one reason: male and female voices sing comfortably in different registers. What feels comfortable for men will not always be comfortable for the females in the church and vice versa. Secondly, the multiplicity of voice types within a single congregation creates an inherent challenge: what is comfortable for the lower female voice (alto) won’t necessarily work well for the higher female voices (sopranos). This all being said, there are a couple of guiding parameters which might prove helpful. When I am asked the general question of ‘what’s the best vocal range?’ typically the interested person is seeking to be governed by a ‘highest and lowest’ note. Admittedly, I wish I could make things easy and give a definitive answer here. Over the years I have read many texts which have tackled this issue. Interestingly each text seems to offer different answers, so allow me to suggest that notes between G3 and G4 are singable by most people most of the time; with men singing an octave lower than the women. To the observant reader, this means that when we prescriptively apply the limits I have just suggested we are restricted to an octave: this in turn significantly restricts the choice of repertoire. There is a second rule that we can apply that offers a little more scope: tessitura. Our focus here is not vocal health, but it is worth noting that it seems the sustaining of a melodic line whose tessitura remains high for an extended period might predispose the singer to vocal wear and tear. Judith Wingate (2008) certainly thinks so. She writes, “If the singer experiences chronic vocal fatigue from singing in an extreme tessitura for long periods of time, vocal injury may result” (pp. 58–59). Daniel Zangger Borch (2005) complements Wingate’s concerns when he writes “Obviously if someone is forced time and time again to sing numerous choruses at the top of their range their voice will give out” (p. 93). Herein lays the challenge: people stop singing when they start to feel physical discomfort. Assessing the tessitura of a song requires that the worship/music director identify where the mean average of the melodic line sits. Again, one must avoid the temptation to be too rigid here. For example, once a congregation has sung a couple of songs they may feel more able to sustain a slightly higher tessitura and so different songs work better (or otherwise) at different points in a worship service. Effectively, the aim is to maintain the tessitura within the boundaries of G3 and G4 allowing for the occasional note to stray outside these parameters. Remember, the key is to have most of your congregation singing most of the time. I am conscious that I have not covered this subject comprehensively here, so I eagerly invite you (my readers) to add to this post in the comments section. We will all benefit from the additional hints and tricks that you have learned from your experiences. Borch, D. Z. (2005). 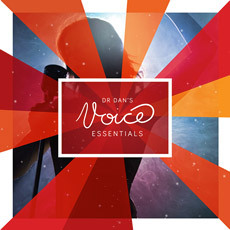 Ultimate vocal voyage: The definitive method for unleashing the rock, pop or soul singer within you. Bromma, Sweden: Notfabriken Music Publishing AB. Cherry, C. M., Brown, M. M., & Bounds, C. T. (2011). Selecting worship songs: A guide for leaders. Marion, IN: Triangle Publishing. McKinney, J. C. (1994). The diagnosis & correction of vocal faults: a manual for teachers of singing and for choir directors (2nd ed.). Nashville, USA: Genevox Music Group. Vennard, W. (1968). Singing: The mechanism and the technic (5th ed.). New York, NY: Carl Fischer. Wingate, J. (2008). Healthy singing. San Diego CA: Plural Publishing. Posted on May 14, 2012, in Singing, Vocal Range, Worship and tagged Corporate Worship, Singing, vocal range. Bookmark the permalink. Leave a comment.